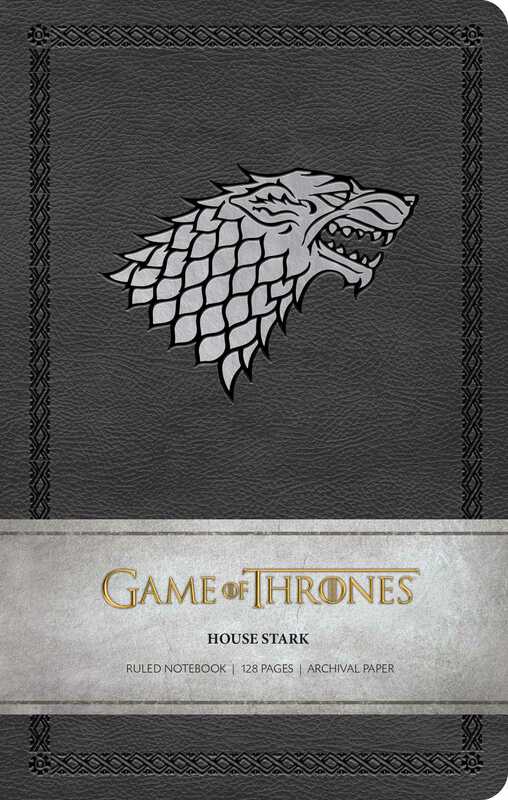 Celebrate House Stark from HBO’s smash hit television series Game of Thrones with this artfully designed ruled notebook. Noble, stoic, and resilient, House Stark has endured some of the darkest periods in the history of Westeros. Known for their motto, “Winter Is Coming,” the Starks’ notably grim outlook on life acts as a necessary shield against the brutalities of the Seven Kingdoms. This beautifully crafted ruled notebook features the Starks’ sigil: The fearsome direwolf, symbolizing the strength and loyalty of House Stark.